Recently, cyber attacks have been on a rise, and it appears that every other day due to these attacks, businesses are being held to pay ransom to protect themselves or go out of business. There are businesses who have shut shop and then there are businesses which have paid ransom to secure themselves, however that doesn’t guarantee that they will not be targeted again in future. So the question is – how can one protect his online business and prevent it from being hacked? and what measures can be taken to prevent loss of sensitive customer data? Here are some tips for you that you can use to safeguard your interests and businesses while instilling trusts in the services you offer to your customers. Make sure you use a sophisticated Object orientated programming language. Make sure it is only accessible to few developers within the office. Administration panels of such platforms should be removed completely from public facing servers. 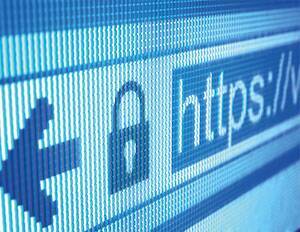 Always use strong SSL certificates. Using SSL certificates you will instill confidence in your customers by authenticating the identity of your business and ensure that the data is always encrypted in transit. There are businesses, which will store a lot of unnecessary sensitive information like Credit Card expiration date, CVV values etc. Even though the intent behind this would be to increase convenience for the end-users, however in the event of a data breach this information will be used by attackers to exploit unsuspecting users. Choosing security over some minor end-user inconvenience goes a long way. In fact storing such information is strictly forbidden as per PCI standards. Always use an address verification system & CVV authentication for credit card transactions to reduce fraudulent charges. If possible make sure that second level of authentication like OTP is used to ensure identity and prevent misuse of stored cards. Always make sure to monitor any suspicious activities like repeated login failures, or multiple transactions by the same user using multiple cards, phone numbers/addresses etc. Always flag such activities as suspicious and block such transaction unless its validity can be authenticated. One of the best ways to secure your business is by making sure not to put all your eggs in a single basket, i.e. employing different security mechanisms like. Application level firewalls to prevent attacks like SQL injection/XSS attacks etc. Train your employees about the security policies & make sure they understand the different types of security risks, like not to open email attachments from unknown sources or never share sensitive information over chat sessions etc. Also make sure that you monitor the traffic coming on to your website, nowadays a lot of traffic is generated by Bots/Crawlers which may lead you to believe that the traffic is legitimate, however not all the traffic is good and may just be putting extra resource pressure on your servers hosting the sites or may be a DDoS attack designed to cause service disruptions to your end users. Always identify such bad traffic from good traffic and block it on network layer before it reaches the server. Always perform regular vulnerability scans to identify hidden vulnerabilities in your systems. Use vulnerability scanners like Qualys/Nessus etc. Such systems help identify vulnerabilities and take preventing measures before it hits your business. Patch everything immediately, i.e. literally the day a patch is released. Your patching consideration should include not just the Operating systems updates but also the third party applications updates like Java, Python, PHP etc. To conclude, these are some of the best practices that you can use to secure your online businesses, as being protected is always better than losing customer’s trust. Why businesses should love social media?